The eminence grise of MCs, Mr Arthur Crumly, has updated his blog with instructions on the role of MC during a Missa Cantata. The Missa Cantata seems to be subject to local variations more than any other form of mass. This is because the standard envisaged by the Missale Romanum, and the Roman commentators, was that of solemn high mass with the deacon and subdeacon. As Fr Hilarius Dale commented, the Missa Cantata was unknown in Rome, where there were always plenty of clerics to staff a high mass whenever needed. Not so in England, or most other places. The MC at a Missa Cantata takes on all the tasks of an MC at High Mass, but also some of the tasks of the deacon or subdeacon at High Mass - as appropriate. What precisely is undertaken by the MC gives rise to local variation. Nonetheless, in England, through custom, a relatively standard form of Missa Cantata has evolved. It doesn't seem to correspond entirely to Fortescue-O'Connell, which is slightly different. There is, on the SST website, a document produced for training purposes on the Missa Cantata which attempts to write down the standard pattern. Mr Crumly's notes are a welcome addition, and they also have helpful diagrams. The current writer's observation is that the standard of serving at the Missa Cantata is often not a clear, precise, and confident as it might be. Worse, things are done which are just plain wrong. Servers and even MCs often seem oblivious of the fact that they aren't getting it right, but blunder on regardless. Furthermore, when given the opportunity to sign up for training, they do not enrol, so lose the chance to "share good practice" and improve the standard of serving in our churches. It is to be hoped that all MCs, and those who regularly serve at sung mass, will read the notes of Mr Crumly and, having read them, learn them and put them into practice. If so, we can look forward to higher standards of altar service, to the greater glory of God. 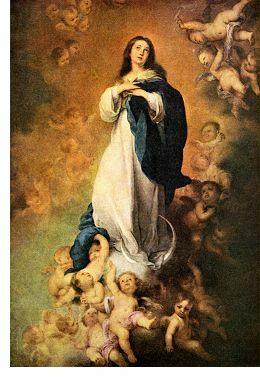 “Three saints," said our Lord to St. Bridget of Sweden, "have been more pleasing to me than all others: Mary my mother, John the Baptist, and Mary Magdalen.” The Fathers tell us that Magdalen is a type of the Gentile Church called from the depths of sin to perfect holiness; and indeed, better than any other, she personifies both the wanderings and the love of the human race, espoused by the word of God. Dom Guéranger, The Liturgical Year, entry for the Feast of St Mary Magdalen, 22nd July. 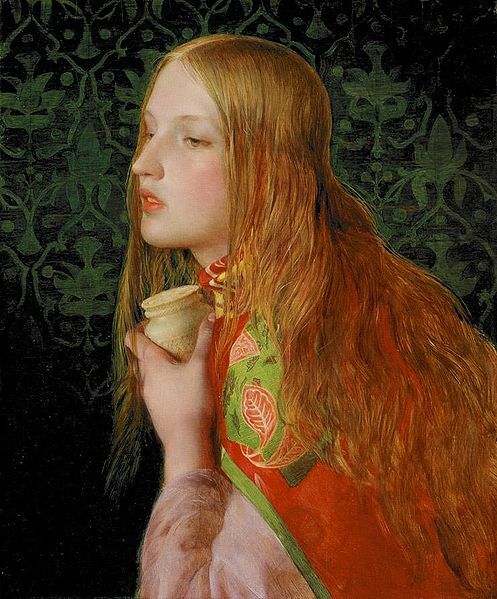 St Mary Magdalen deserves a high place of respect among the female saints to be revered by altar servers. As the words of the Gospel make clear, she served Him in person, with great attentiveness, in the days before His Passion and death. She served Him with great love, with great penitence, and with deep devotion. She did not spare cost, but offered up the alabaster box and the precious ointment - worth almost a year's wages to a labourer - to show honour to Our Lord. Some of the bystanders - including the apostle Judas Iscariot - were scandalized by this devotion, and Judas immediately after went to the Chief Priests, to betray Our Lord for silver. Altar servers must also serve Our Lord with attentiveness, penitence, love and deep devotion. In this, we may imitate St Mary Magdalen. It is also a fact that there are many in the world today - including apostolic men who are called to know better - who are scandalized by the love and attention shown to Our Lord in the traditional liturgy of the Church. Like their predecessor, they are more concerned with worldly matters - feeding the poor, reforming society, the good opinion of the World - than with the service of Our Lord. Thus, despite their good intentions, they miss the point, and betray Our Lord. The good altar server will do the opposite of these modern day Judases, and imitate St Mary Magdalen. Let us by unsparing in our attention to the service of Our Lord. Let us give Him the best we can offer. As altar servers, let us be "fidelis usque ad mortem" and commit ourselves to the service of our Eucharistic Lord all the days of our life. Here is a prayer before Communion, which is easily memorized, and expresses well the dispositions we should have before approaching the Sacrament. It recognizes that we cannot, of ourselves, make ourselves worthy to receive Our Lord - only His grace can do that. We also need the intercession of the saints, especially His Blessed Mother, to enable us to approach the Sacrament without shame. "Oh Lord, may I receive Thee in Holy Communion with the purity, humility, and devotion with which Thy Blessed Mother did receive Thee; with the penitence and love with which Holy Magdalen did receive Thee; and with the spirit and fervour of all the saints." And melts the ice within her soul. And with her hair she wipes them o'er. For love has cast all fear away. So purify our souls for heaven. 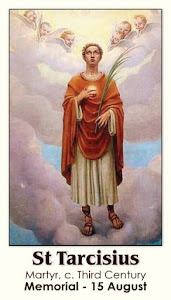 In Conceptione tua, Virgo Maria, immaculata fuisti; ora pro nobis Patrem, cujus Filium Jesum de Spiritu Sancto conceptum peperisti. In they Conception, O Virgin Mary, thou wast immaculate; pray for us to the Father whose Son Jesus, after He was conceived by the Holy Ghost, thou didst bring forth into the world. The Raccolta. Indulgence of 300 days. One of the MCs of the SST, Mr Richard Hawker, has established a Blog entitled "When the Patriarch was returning." It is worth a visit. The title of the blog is a reference to an Anglo-Catholic hymn, sung by members of the Guild of the Servants of the Sanctuary; Mr Hawker belonged to this body in his younger, wilder, schismatic days. Gave his flesh and gave his blood. Faithful to his last commands. On the living Victim feast. If you would like the Latin, visit the blog! 16th July is the Feast of Our Lady of Mount Carmel. To celebrate, here is the beautiful sequence, Flos Carmeli. 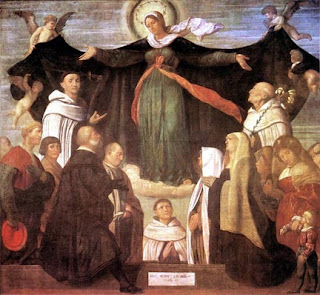 The authorship of this sequence is attributed to St Simon Stock, the 13th century English Carmelite, who was honoured by the vision of Our Lady revealing the Brown Scapular to him, and promising that those who faithfully wear the scapular will not suffer eternal perdition. Part of the relics of St Simon Stock were returned to Aylesford, in Kent, in 1951. There is also a relic of the saint at the Carmelite Church in Kensington High Street. This chant is sung in the traditional Carmelite rite as the Sequence at mass - that is, the chant before the Gospel - on the Feast of St Simon Stock, and also on the Feast of Our Lady of Mount Carmel. Ecclesia Dei - no communion in the hand in the old rite! It confirms what we all should know, but which some have doubted. 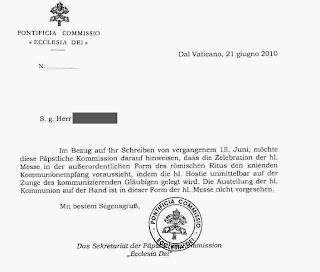 "In reference to your letter of 15th June, this Papal Commission would like to point out that the celebration of Holy Mass in the extraordinary form envisages the reception of Holy Communion while kneeling, as the Holy Host is laid directly on the tongue of the communicant. There is no provision for the distribution of Holy Communion on the hand in this form of the Holy Mass." 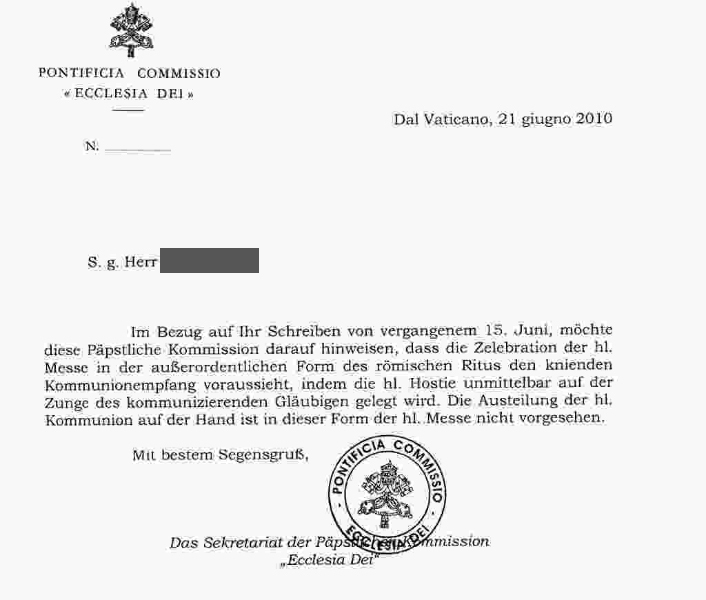 The Secretariat of the Pontifical Commission Ecclesia Dei. July 1st is the Feast of the Most Precious Blood of Our Lord. This is a very appropriate devotion for an altar server, who serves at the Holy Mass; where the True Blood of Jesus Christ becomes really present under the appearances of Bread and Wine; where the Blood of Christ, the price of our redemption, is applied to our souls for our sanctification and salvation. The entire month of July is devoted to the Most Precious Blood of our Lord, so this is an especially good prayer to use throughout this month. I don't know how old this Litany is, who authored it. It was certainly included in early 20th century prayer books, and has the feel of being older, thought it was only approved for Public recitation by Pope John XXIII in 1960 (the pope had a special devotion to the precious blood). The devotion to Jesus specifically in His most Precious Blood was popularized by St. Gaspar del Bufalo (1786-1837, feast Dec. 28) who founded the Missioners of the Most Precious Blood. 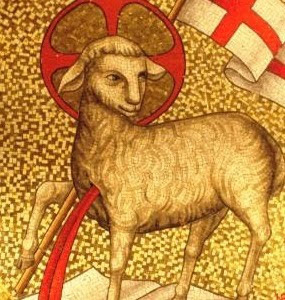 Thou hast redeemed us, O Lord, in Thy Blood. And made us, for our God, a kingdom. A partial indulgence is granted to the faithful who recite this litany, which is approved for either private or public use. Saturday devotion to Our Lady.